Planning your U.S. application calendar? Then you know fitting in standardized tests – preparing for and taking them – is an art, especially if you’re planning realistically and strategically for the situation in which you will decide to retake a test to up your score. By the way, it’s perfectly alright to take the SATs twice. If at least one of your scores or subscores increases, that’s a win! Some schools will make a superscore out of your best SAT Reasoning subscores, for instance, hence the insight. And even if they don’t, your increasing your score will still showcase your growth and perseverance in the (usually short) time between the two administrations. While you may take the TOEFL iBT test pretty much any week or month, the SATs are administered more rarely. And starting this year they’ll be a little rarer still – so planning ahead is even more important! The SAT Reasoning and SAT Subject tests used to be offered internationally six times a year. On any test date you could register to take either the Reasoning test or up to three SAT Subject tests. On June 3, 2017, you can only take the SAT Subject tests. The SAT Reasoning will not be administered in June. The SAT Subject tests in October, November, December, May, and June (so, five possible test dates, of which three overlap possible SAT Reasoning test dates). Country-specific scheduling changes will be available in spring 2017. Register to take the SAT Reasoning in May or the Subject tests in May or June at least a month in advance (but keep in mind registrations are first come, first served). 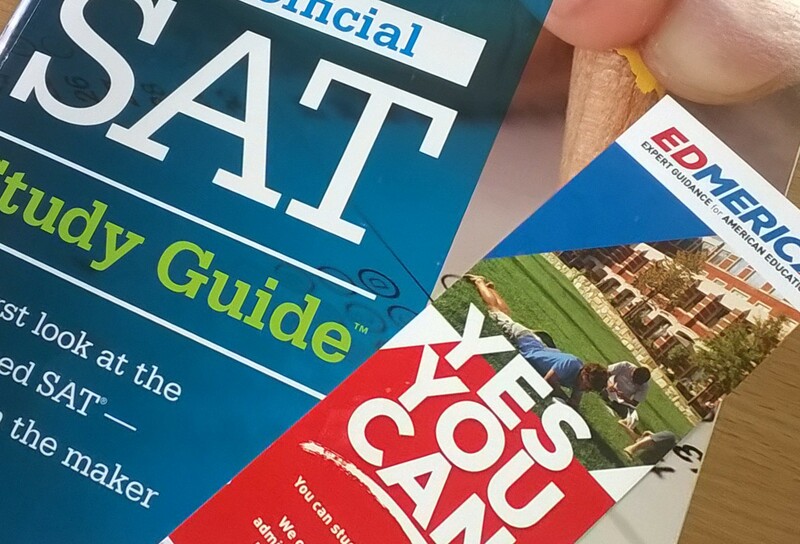 Stay tuned for updates and register for our SAT School during April 24-28!